A guided meditation about going into the unknown beyond the ego-personality, towards inner emptiness and the essential enquiry of who we really are. 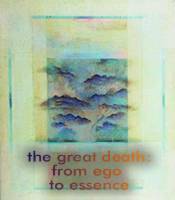 In Zen it is called "the great death". Hypnosis on dissolving the unconscious identification with the false self-images to create space for the real being, your Essence. In this guided meditation the meditator is encouraged to consciously cut off from all relationships that support our selfimage, our identification with the body and false personality, that which is born and which also dies. In this way only the question: Who am I ? remains, which triggers the quest for that which is real, for that which always remains, without any doubt. This meditation is helpful with the inner work of recognizing and liberating oneself from the aspect of the "Inner Judge", also called the Super-Ego or Inner Critic.